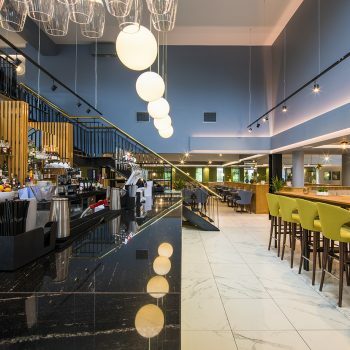 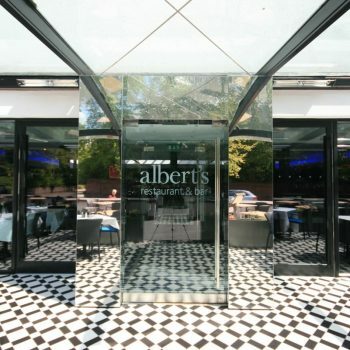 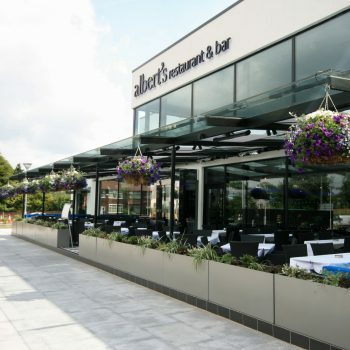 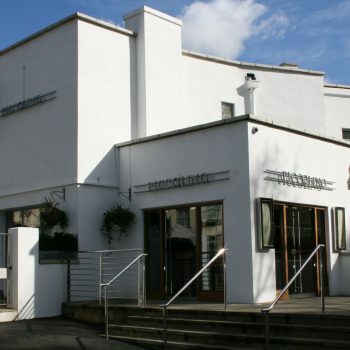 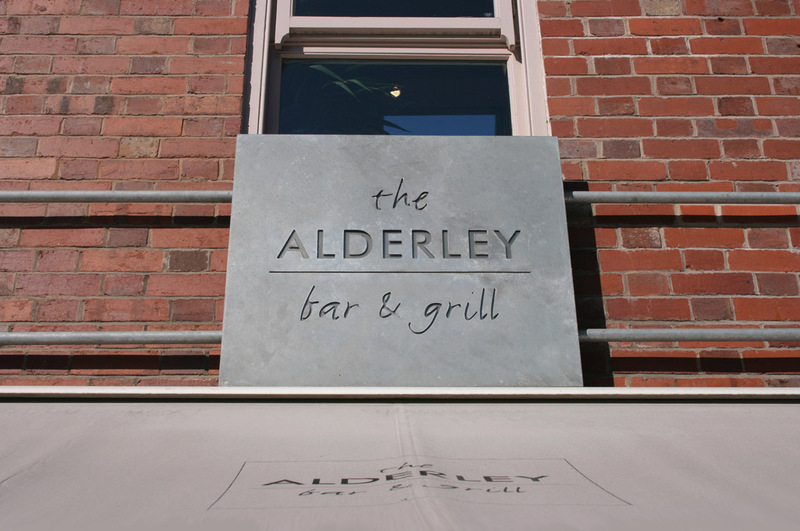 Turning an earlier failed restaurant into the Alderley Bar & Grill made a significant impact to the thriving restaurant and bar scene in Alderley Edge. 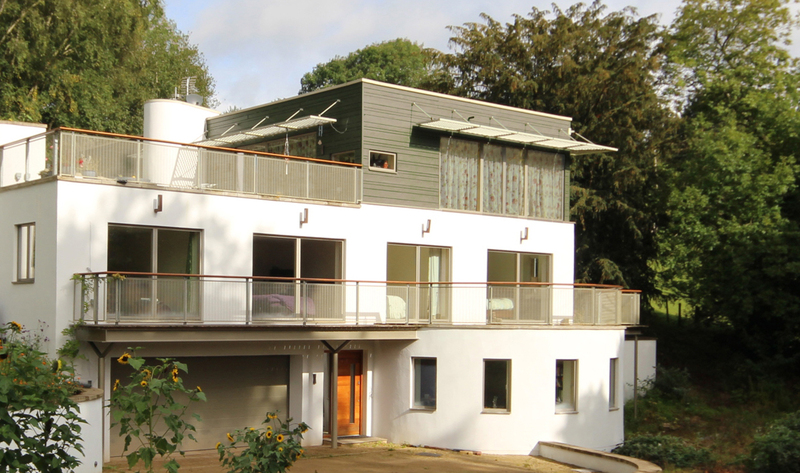 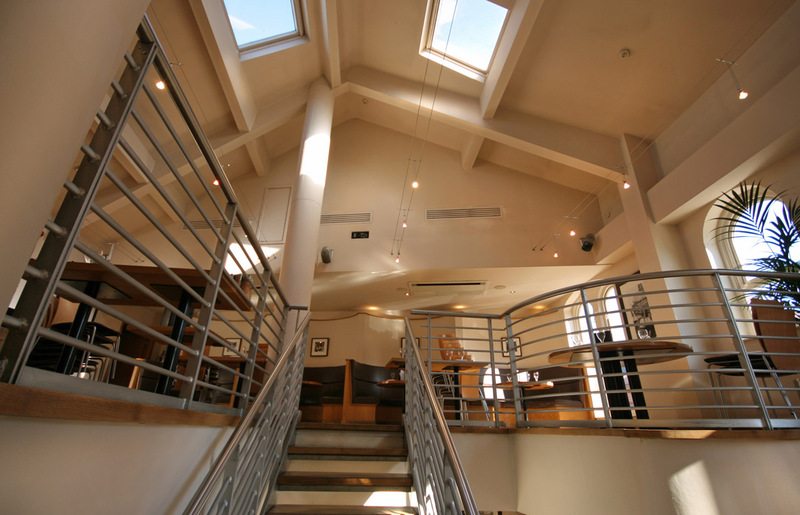 With its striking zinc plated staircase contrasted with the simple white walls and oak floors a welcoming and pleasant environment was created. 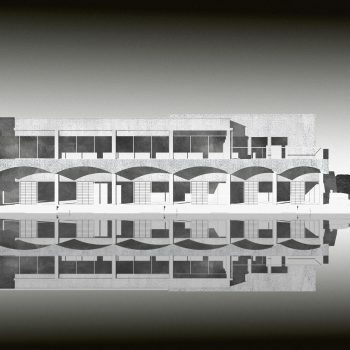 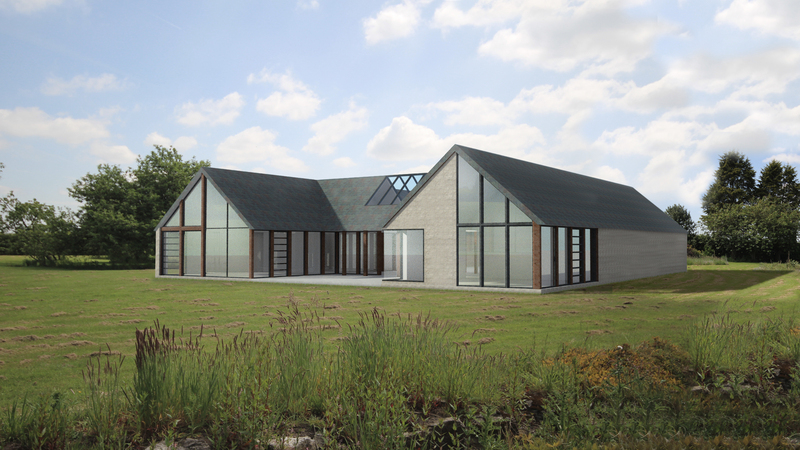 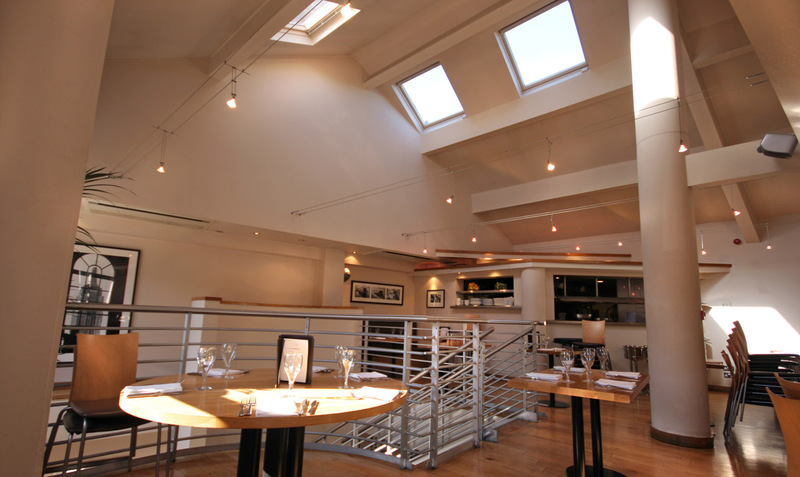 A large new opening into the upper floor connects the different areas of the restaurant and allows views into the partially glazed open roof structure. 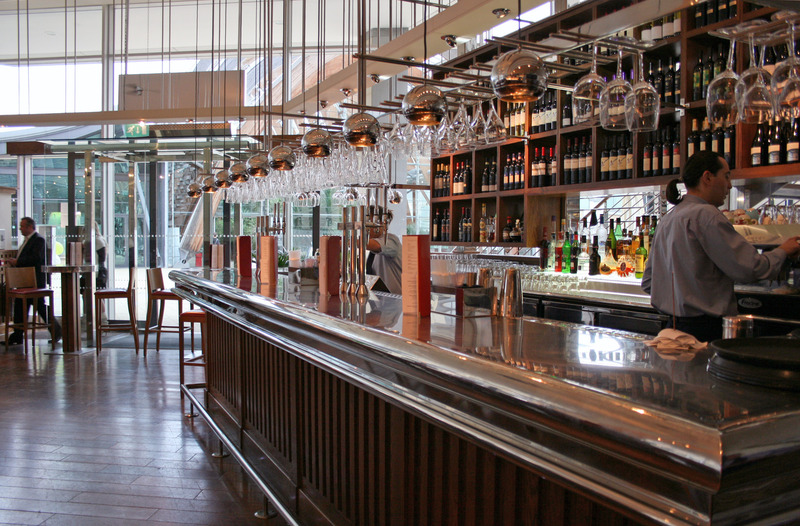 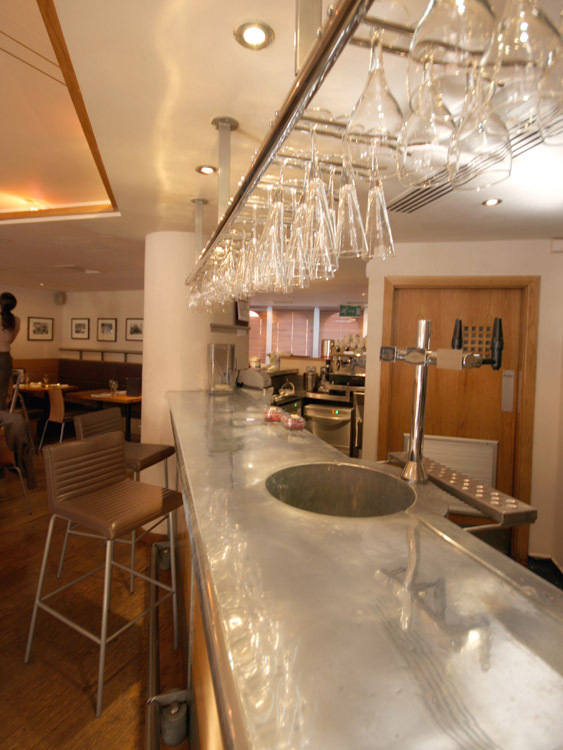 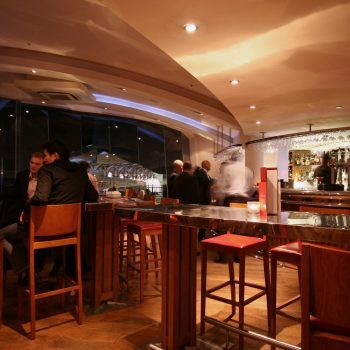 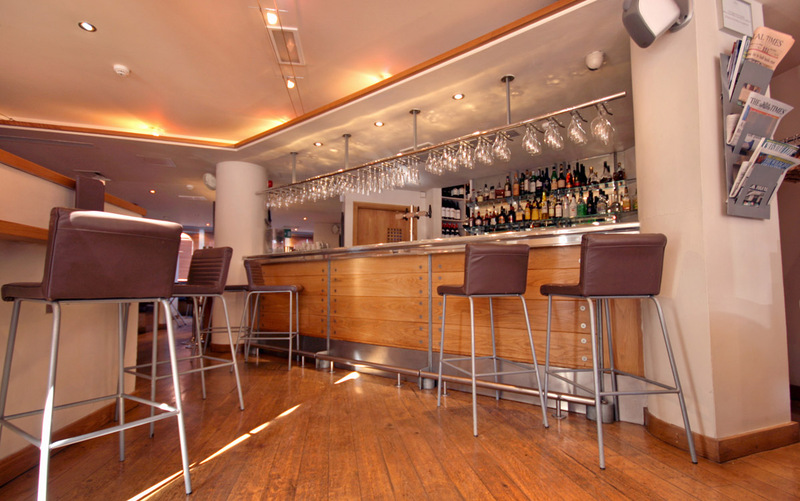 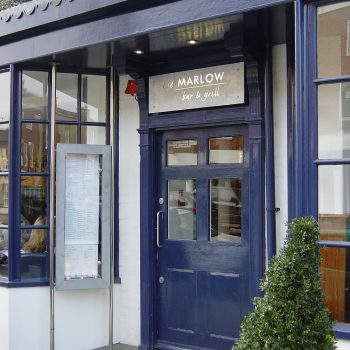 As with all our restaurant and bar fit outs, lighting and the use of natural light is given great attention.